Virat Kohli took off his helmet, kissed it and also blew a kiss off to Anushka Sharma. Photo: PTI. That's how you do it! Virat Kohli chose his typical flamboyant style to end the rumours ( or shall we say fuel the rumours) surrounding him and Anushka. The star cricketer blew a kiss to his ladylove sitting in the stands after he completed a half century at the Hyderabad ODI on Sunday. 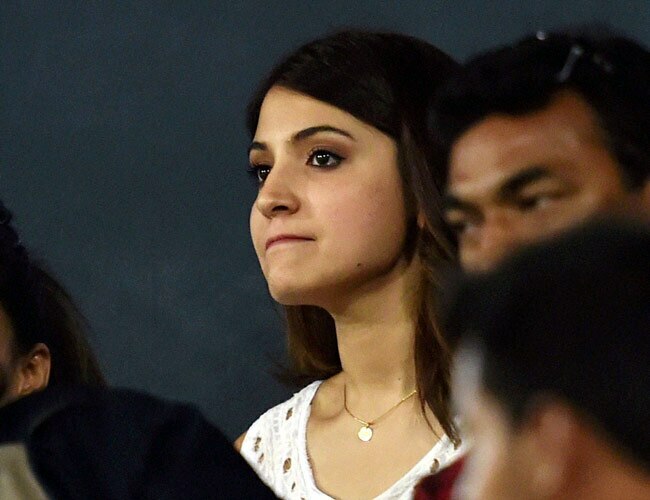 Anushka Sharma sitting pretty in the stands, witnessed one of the highs in Virat Kohli's cricketing career on Sunday in Hyderabad and presented a shy smile when the Indian skipper enthralled the crowd with a cute little act after reaching his half-century in the match against Sri Lanka at Rajiv Gandhi stadium. The captain took off his helmet, kissed it and also blew a kiss off to Anushka, who responded with a standing ovation. Anushka was seen cheering Kohli when he scored a run off left-arm spinner Chaturanga de Silva in the 39th over to complete his 50 and also became the quickest batsman to score 6,000 runs in ODIs. Anushka Sharma responded with a standing ovation. Photo: PTI. Anushka was seen during India's tour of England and Kohli's poor performance during the series was blamed on her presence. However, that hasn't stopped the duo from venturing out together in public. The actress was recently clicked spotted beside the Virat at a football match and later they were spotted at a restaurant in Mumbai. Anushka even joined Virat in Ahmedabad on Nov 6 on his birthday. The 26-year-old Indian, who was captaining the home side, was out for 53 and he has so far scored 6,003 runs with the help of 20 centuries and 32 half centuries. He bettered legendary West Indian Vivian Richards' record. 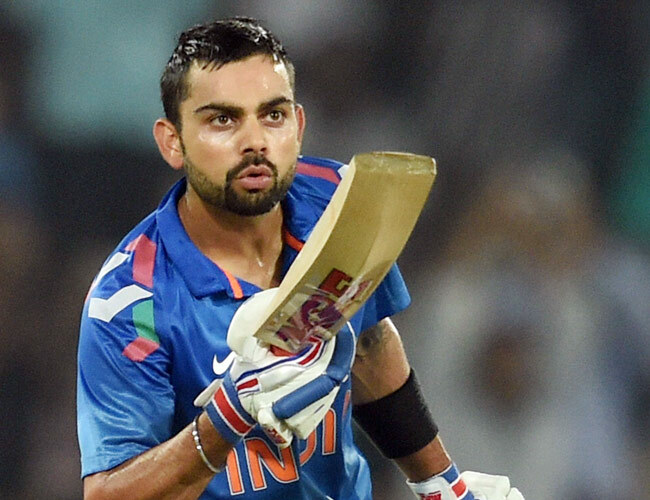 Playing in his 144th match and 136th innings, Kohli began the match 50 short of 6,000. Kohli, who made his ODI debut against Sri Lanka at Dambulla in August 2008, has an impressive ODI average of 51.29 before Sunday's match.